Steve has accepted the position of Research Fellow with Scott Hahn's St. Paul Center which promotes Catholic Scripture scholarship. I like what Scott and crew are doing and I'm proud to be associated with them. 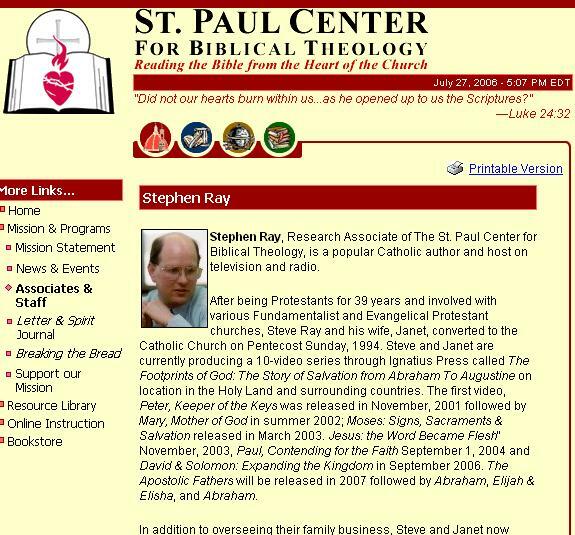 Click on the image to to right to see the whole webpage; click here to see St. Paul Center's homepage.